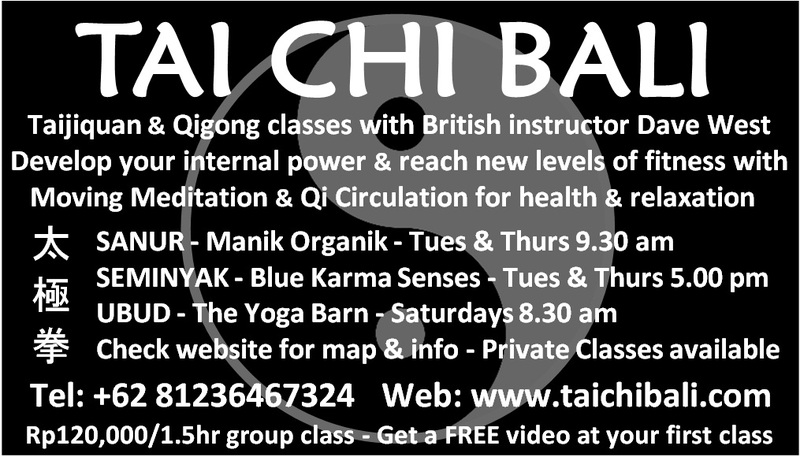 I have earlier said we were quite happy with Dave West as an instructor of Tai Chi Chuan, here at the Yoga Barn. Dave is a full time instructor and run classes out of Tai Chi Bali. I have emailed with Dave after our training session and told him I could put some info up at the blog. So if you happen to find this site by searching for Tai Chi and Bali, know that there are several of us that like what Dave West teaches. Categories: Indonesia | Tags: Bali, Indonesia, Tai Chi Chuan, Ubud | Permalink.